Peter Vallejos sings ‘One Call Away’ by Charlie Puth on The Voice Kids Philippines Season 3 Blind Auditions on Sunday, May 29, 2016. Coach Bamboo and coach Leah turned their chairs for Peter. “You were off key in some part of your performance but over all, your delivery is so good. I love your voice,” said Sharon Cuneta. “Your performance level was there and you are entertaining,” said Lea Salonga. “I want to nurture you as a singer and as an artist,” said Bamboo Manalac. Vallejos joined Team Lea. Watch his performance on the video below. 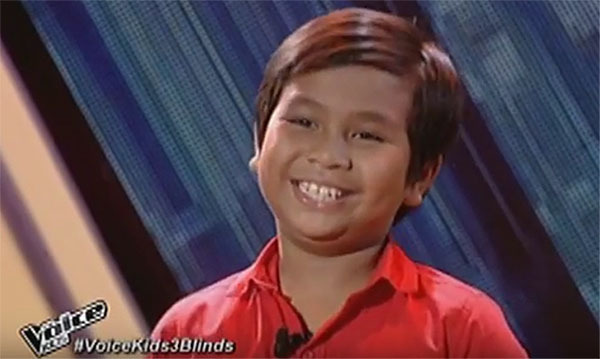 What can you say about Peter’s blind audition? Share your thoughts you view on the comment section.